The Aam Aadmi Party is selling a dream of Heaven (freedom from corruption) to a country of one billion people who have grown accustomed to living in Hell. Everybody believes in Heaven, though each has a different vision of what it looks like. Everybody complains about Hell, but most, especially the educated, have taught themselves the means to survive in it. Many people trust that AAP can make our dreams of Heaven a reality. But the more educated we are, the less we like to be wrong about the people we put our trust in. After all, the Devil has appeared to us in several guises before – either as corrupt or as Hindu fundamentalist or ineffective or all of these – how can we know that this isn’t just another one of his ploys? 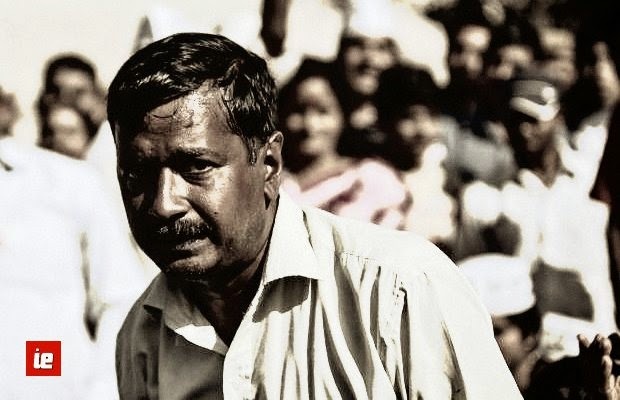 The AAP, and Arvind Kejriwal in particular, are being watched with heavy scrutiny – at their first mistake or at the first sign that they are no more effective than any other politician, their educated voters might feel let down and may jump ship to return to the Hell that they are used to living in. And the AAP could lose the majority that they need so desperately in order to deliver on their promises. Perception is reality. To make Heaven a reality, the AAP cannot ignore the hits to public perception of their credibility caused by their mistakes (examples, in Delhi). Once lost, trust is an extremely difficult thing to regain. Arvind Kejriwal is currently the most credible candidate for India’s Prime Minister. He has both a conscience and a spine – a combination that neither of his opponents can boast of. He has a squeaky clean background and has proved that elections can be won without resort to black money. He is an out-of-the-box radical thinker, who does not hesitate to question nearly everything about our current political status quo. He displayed exemplary courage when he showed that no one, not even the all-powerful Ambani, is beyond the scope of investigation for corruption. Unlike his opponents who sell India’s interests to powerful foreign lobbies, Arvind Kejriwal is more interested in listening to his own people and running India for Indians. In his short stint as Chief Minister of Delhi, he demonstrated beyond room for doubt that collusion and corruption exist among the top brass of all of India’s major political parties. He may seem like a rookie with little tested experience in the political arena, but his skill as an orator and the stellar experience of his team in fields outside politics reveal his astuteness. Arvind Kejriwal is a common man that all of us identify with easily, yet the particular streak of common sense he has shown in his leadership style is exceptionally rare. We all know that he is a fantastic activist, but can a common man like him really be the right long-term leader of one-sixth of the world’s population? To answer this question, I found it helpful to define a yardstick for Arvind Kejriwal’s performance. Corruption is the single most important hurdle in the way of India’s economic progress and the development of efficient capital markets. Our past economic progress may have made us more willing to tolerate, even encourage, corruption, but it is now time to eliminate it and make economic opportunity accessible to the entire country. To free India from corruption, Arvind Kejriwal will first have to establish robust and durable systems that allow us to make the culprits accountable for their exigencies. These systems will be tested on the biggest names (Ambanis and Adanis), who are currently fueled by raw money power. Corruption is also prevalent, nearly to the point of defining our culture. Honest officers from nearly every walk of life, who have been shouted down and suppressed for decades, are raring to implement nation building policies. But given how pervasive corruption has become in India, Arvind Kejriwal may also need to change our habits, or in other words, our “addiction” to taking and giving bribes, or looking the other way when a crime is committed. He will need to lead by example and create a critical mass of honest officials, in politics, media, administrative, police and judiciary services and in nearly every other walk of life, until we replace our bad habits with good ones that we can sustain over the long term. Eliminating corruption is the first necessary step for progress, but it is not sufficient. Once the cancerous growth is clinically cut away, we will need to come together to build a new nation. This is where Arvind Kejriwal’s leadership skills (rather than his activism) will really be put to the test. A democracy, by definition, is a political structure in which the majority rules. No leader in a democracy can remain in power without the support of the majority of his/her electorate. Poor leaders manipulate populist sentiment to achieve their selfish goals (example: Hindu fundamentalist leaders during the Gujarat riots), whereas exceptional leaders (like Gandhi and Lincoln) are both guided by their inner moral compass and able to convince the majority of the right thing to do. A great deal hinges on Arvind Kejriwal’s ability to build a diverse team of experts and encourage dissent, open communication lines and healthy debates at every level. I will also be watching closely to see if the decentralized government he proposes (Jan Lok Pal) will be capable of doing the right thing, even when it may not at first be the popular solution. A simple example is the trade offs between short- and long-term economic stimuli. Subsidies and other similar socialist initiatives may be popular, but are tricky to implement with enough controls to ensure that only the really deserving get them and in ways that they do not interfere with market forces by creating perverse incentives and arbitrage through middlemen. Good economic policy must be a collection of a larger set of tools. To operate effectively as a national party, it is not sufficient for the AAP to not subscribe to the ideologies of their opponents – they need to create an ideology of their own and communicate it. The way they have built their manifesto by going door-to-door and listening to the people gives me faith that their ideology will truly be the voice of the people. I hold Arvind Kejriwal to a higher standard than any other politician, because he promises a new era of clean politics, but I am also willing for him to hold me to higher standard, by being an involved and participative citizen. I support the Aam Aadmi Party in this year’s election because I think they are best qualified to lead our country out of the current decades-long quagmire. And, yes, I have my feet planted firmly on the ground as I say this. Though my gaze is fixed on Heaven.